In “Waltzing Matilda”, an 1895 song written by Australian poet Banjo Paterson, a jolly swagman drinks a cup of billy tea near a billabong, steals a jumbuck from a squatter, then runs from the squatter and a few mounties to another billabong where he kills himself and his spirit haunts it forever. Cheery, isn’t it? You have to love a country whose unofficial national anthem involves sheep-stealing fugitives from the law, suicide, and ghosts. Well, I do, anyway. It’s true. I’ve wanted to visit Australia since birth. There’s something so untamed and brutal about it. It still has thousands of acres of wild country, places where people live underground, and a truckload of things that can kill you in an instant. Awesome. Based on all that and the whole former penal colony thing, I’ve decided to launch my 2017, Year of the Theme thing with Australia. Oh, I’m doing a 2017, Year of the Theme thing. I have no idea what films I’ll watch or how many. This will NOT be 31 Days of Marsupials or anything like that though because I have a kid and a job and I have to clean my bathroom and junk. I don’t have time to find, watch, and write coherently about 31 Australian films and still have time to buy groceries. I’ve heard this is vile, but I wouldn’t know because I’ve never been to Australia. Anyway, stay tuned to this blog for some fun Australian film reviews written by someone who has never been to Australia. I do have some stuffed Australian animals and a didgeridoo so I think I’m qualified. Slim Dusty, AO MBE was an Australian national treasure. He sang a mean “Waltzing Matilda” too. Every once in a while, someone will ask me what my favorite films are. My favorite films? Do you mean my favorite films with large, radioactive insects? My favorite films about the mob? My favorite westerns? War movies? Heist films? 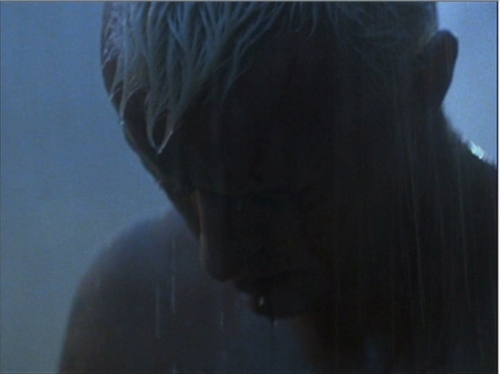 Films where the main character paints with his girlfriend’s blood? That’s the thing. I like a lot of films and quite honestly, my favorites change from day to day. Anyway, I saw Jay from thirtyhertzrumble.com posting his top 5 and I thought I’d give it a shot. 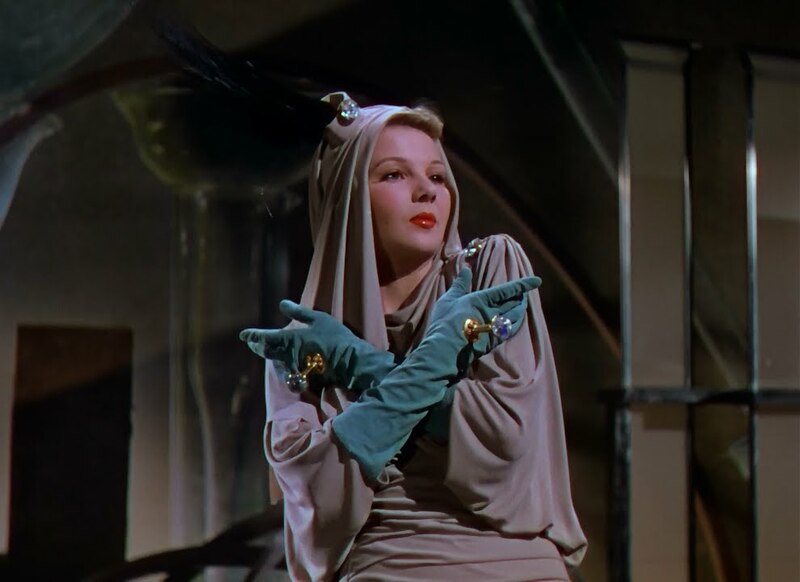 The author of the Classic Film and TV Café, a blog about classic film and TV (no kidding), came up with the idea for this blogathon, but I found out about it too late so I’m posting my favorites anyway and attempting to give him credit. Here goes! I’m not sure why, but I love fashion shows in movies. HOW TO MARRY A MILLIONAIRE has a fun one too. Great stuff. I’m not even a clothes person. I am not the woman with 200 pairs of shoes or an outfit for every occasion…at all. It doesn’t matter. The wacky over-the-top couture fits the ‘I can get my nails done daily because the hardest work I do all week is hail a cab’ lifestyle. The clever and often overlapping dialogue written by Clare Booth Luce, Anita Loos, Jane Murfin, David Ogden Stewart, and even F. Scott Fitzgerald makes fun of the wealthy consumers in this film while still allowing us to like them. I’m not sure if it would pass the Bechdel test because these women talk about men a lot. They also talk about themselves and their hopes for family and love. Not all ambition hangs out in the boardroom, after all. The women in THE WOMEN talk about things that still come up today. I’m your wife and the mother of your children, but I still have to look like a model and greet you every day with a negligee on and a soufflé in the oven. I also have to be a good sport about it and look the other way when you pinch the cigarette girl. Welcome to 2016, 1939. THE WOMEN is a smart film that holds up. 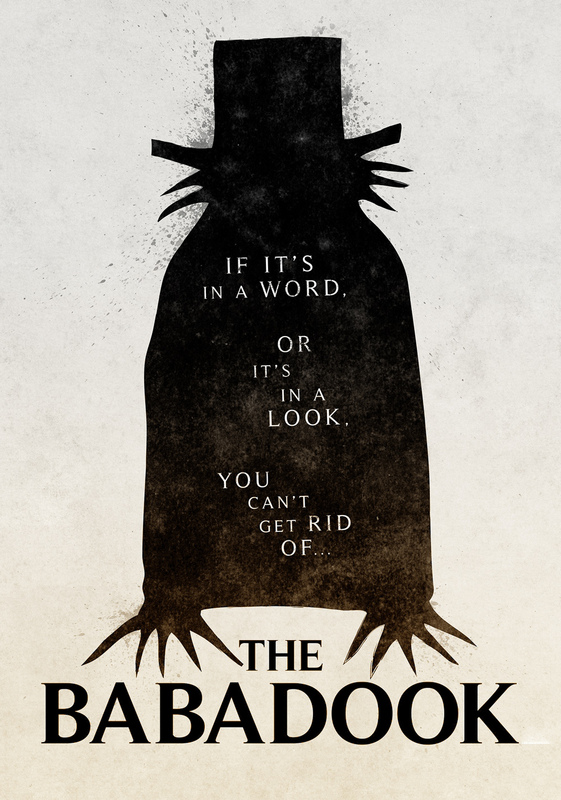 My teenager adores this film and the two of us sit on the couch and laugh like fools throughout the entire movie. If it’s on in the morning, she will get up. Let me repeat that. SHE WILL GET UP. Remember, she’s 18. I love this film. This is another movie with a ton of stuff going on. The asides and in jokes become clearer after each viewing and the physical humor is some of the best in film. 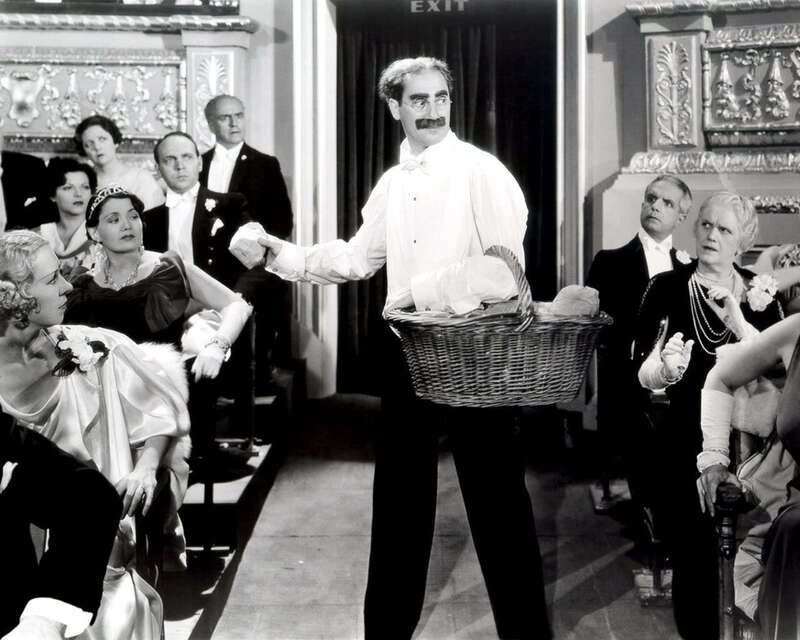 The Marx brothers work so well together. The choreography and timing in the scenes in the ship’s stateroom and the hotel in New York are as complex as any dance number Fred Astaire dreamed up and the sarcastic put downs still crack me up. 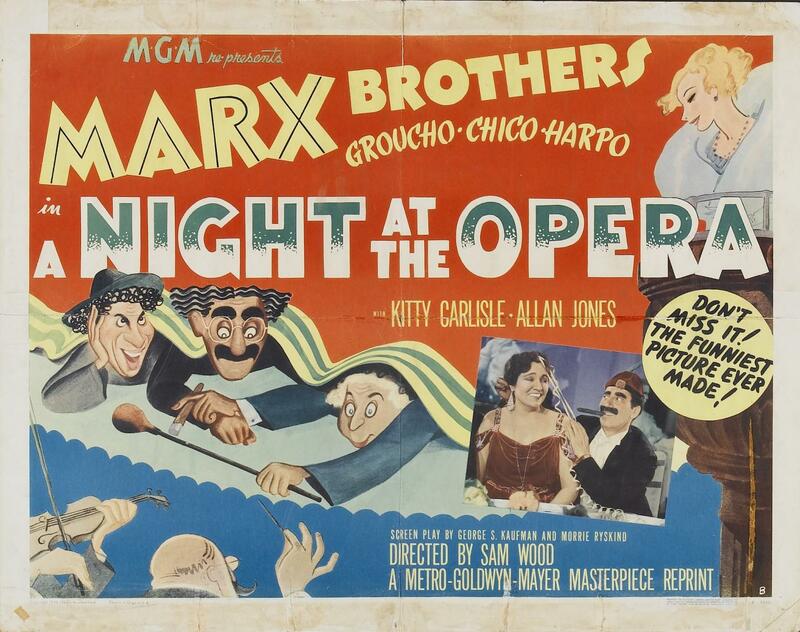 It’s worth seeing just for “Take Me out to the Ballgame” in the orchestra pit. Major smiles. 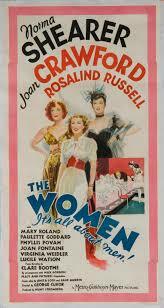 I’ve read that Welles didn’t care for this one, but he was wrong. There, I said it. First of all, it looks fabulous. A gym has never looked so good. Those shadows and chiaroscuro get me all hot and bothered. Also, Nazis. I love Nazis in films of the 1940s. It’s all black and white. There’s none of this police action/Vietnam/should we really be there crap. They’re Nazis. They’re bad. End of story. 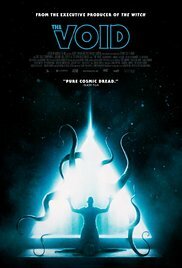 I also love films about the seedy underbellies of otherwise lovely places. SHADOW OF A DOUBT, BLUE VELVET, even THE ASPHALT JUNGLE and ROPE have that ‘Come over for a cup of tea, Aunt Clara. I’ll move the body out of the spare room.’ feel to them. Edward G. Robinson has a lot of fun with this one. 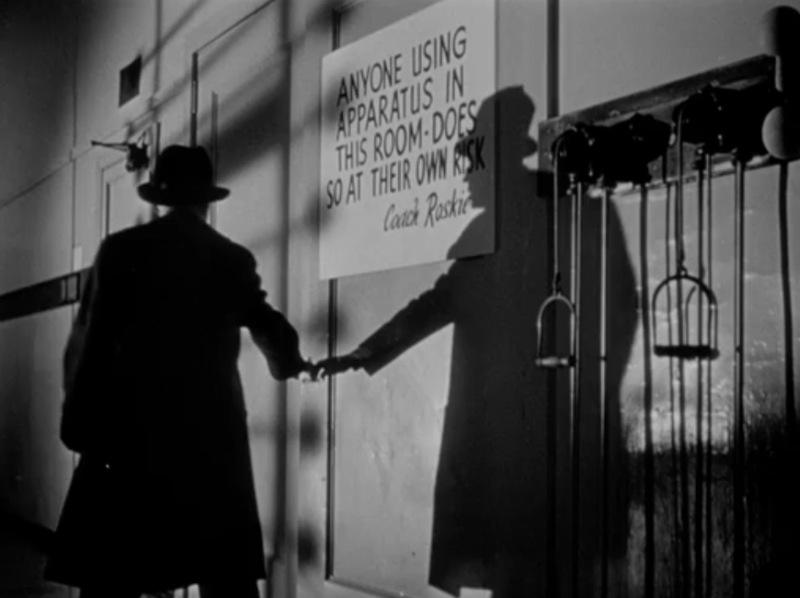 Robinson takes his time ruminating over Welles and his possible ties to the death camps and insinuates himself into his life until it all goes pear-shaped for the murderer. Just terrific. Orson Welles makes a great bad guy too. 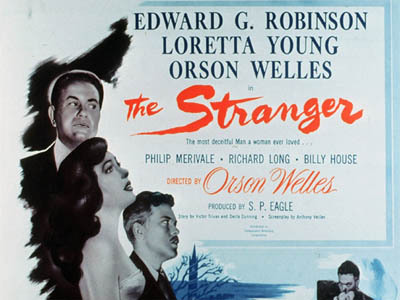 I think Loretta Young is a bit shrill in THE STRANGER, but she unravels nicely. 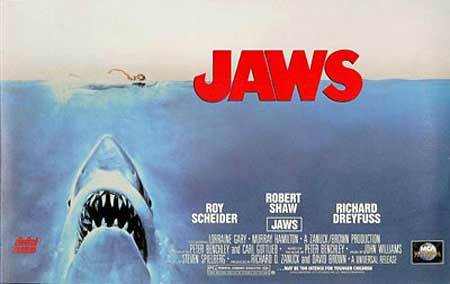 While JAWS started the whole summer blockbuster thing, it wasn’t the first creature feature. Universal had THE WOLF MAN and DRACULA and the 1950s showed us what radiation could do to desert ants and crickets. In Japan, Godzilla and his cohorts/enemies (depending on which film you’re watching) destroyed and saved Tokyo countless times. Sometimes, the scientists found a creature in the ice. THE THING FROM ANOTHER WORLD and THE DEADLY MANTIS defrosted the terrible beings and hurled them at an unsuspecting public. THEM! gave us the prototype for the modern creature movies and it’s wonderfully done. I wouldn’t be surprised to find that Spielberg was a big THEM! fan. I digress. I love JAWS. There’s something about it that makes me so happy. The soulless leviathan threatens the lives and livelihoods of the citizens of Amity Island and Quint, Hooper, and Brody band together to kill the beast and save the day. Here’s another black and white film. The shark eats kids and dogs. He’s bad. He’s the Nazi of the sea and our heroes are the allied troops tasked with taking him out. What separates JAWS from many of the other nature vs. man films are the characters and the writing. We get to know these guys and we’re worried about them. We want Brody to get home to his wife and kids. We want Quint to get his Napolean Brandy. We also want Quint to run him into the shallows so Hooper doesn’t have to get into that damned shark cage. I got no spit either. Writers, Peter Benchley, Carl Gottlieb, and the uncredited John Milius fleshed out these men so we’d give a damn about them. They even wrote in the island as a character. There’s so much going on in this film that I see new things each time I watch it. That newness would come in handy on an island. 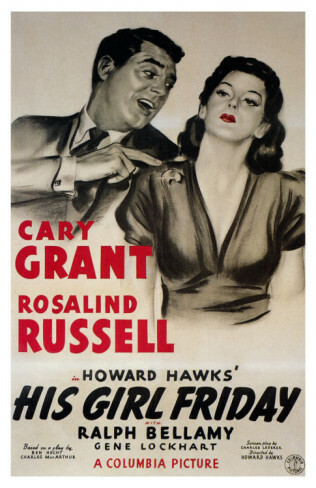 For the last film, I had a hard time deciding between HIS GIRL FRIDAY and HARVEY. 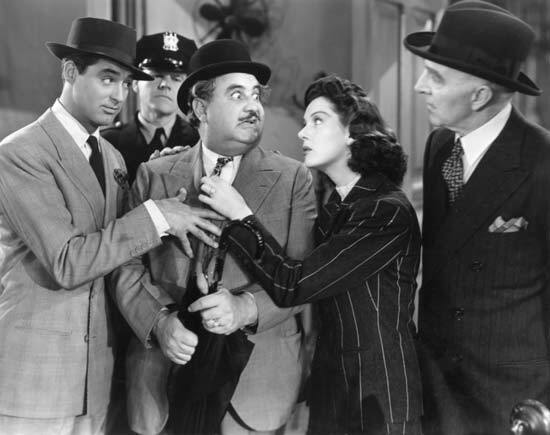 They’re both funny and full of terrific performances, but HIS GIRL FRIDAY (1940) edged HARVEY out by a whisker. I love the frenetic, overlapping Hawksian dialogue and the amazing cast of character actors elevate this film above madcap comedy status. I would argue that HIS GIRL FRIDAY and CASABLANCA use character actors better than any films ever did. Roscoe Karns, Regis Toomey, John Qualen, Billy Gilbert, Porter Hall and Gene Lockhart make this film. Rosalind Russell and Cary Grant are the stars, but without the reporters and the pols vying for a byline or political brownie points, it wouldn’t be the same. 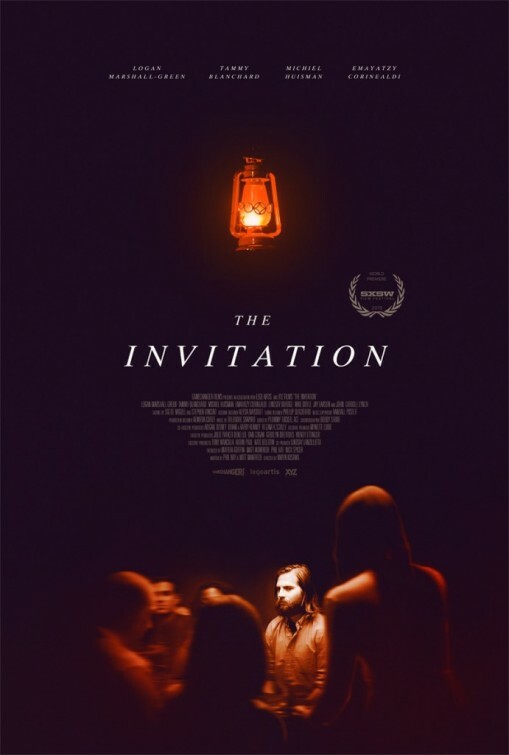 The comments delivered from the sides of mouths in this film keep the viewer on his toes too. You can’t sneeze while watching this for fear of missing 14 punchlines. It’s whip smart and prescient and I’m out of breath at the end of each viewing. This film is coming with me if I have to smuggle it in my sock. These are my 5 favorites…this week. Come back next week, and I’ll probably have a different list. Tagged with 1930s films, 1940s films, 1970s films, 5 Desert Island Movies, A Night at the Opera, Casablanca, Harvey, His Girl Friday, Jaws, National Classic Movie Day, The Deadly Mantis, The Stranger, The Thing From Another World, The Women, Them!